Isn't it funny how CAS cards can be so complicated? I think that's why I love the Petal Plate and Petal Plate Additions dies so much. The hardest part was just choosing the colors;) The sentiment is from the So Happy stamp set and it fits perfectly in the center strip. Easy peasy! Cool :-) Love your colors! You did wonders with the colors! I really love this card, JJ! Totally love this! I got this one and I MUST get it out to play! 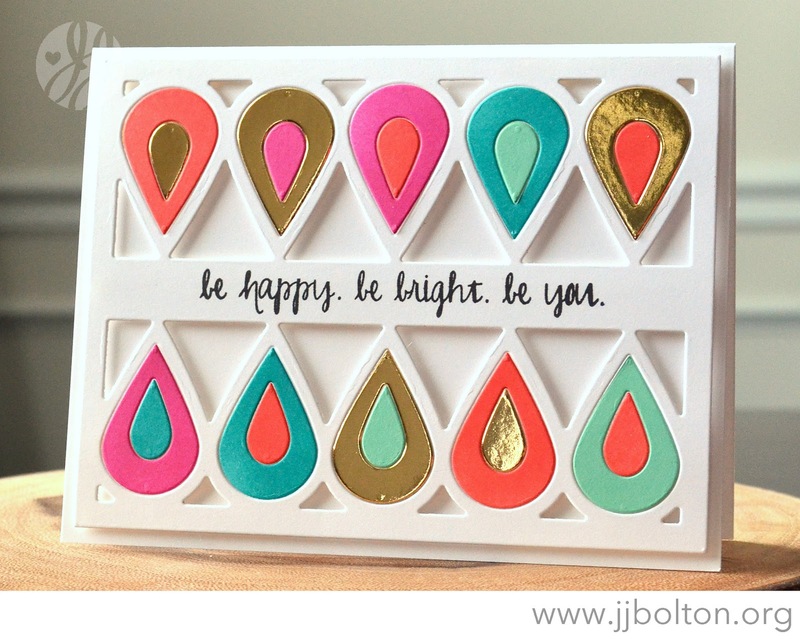 I love when you create with graphic shapes and bold colors ~ Love the pop of gold, too! Awesome card, JJ! Love the graphic shapes. Didn't think I NEEDED this die, but after seeing this card, I think I will have to reconsider!